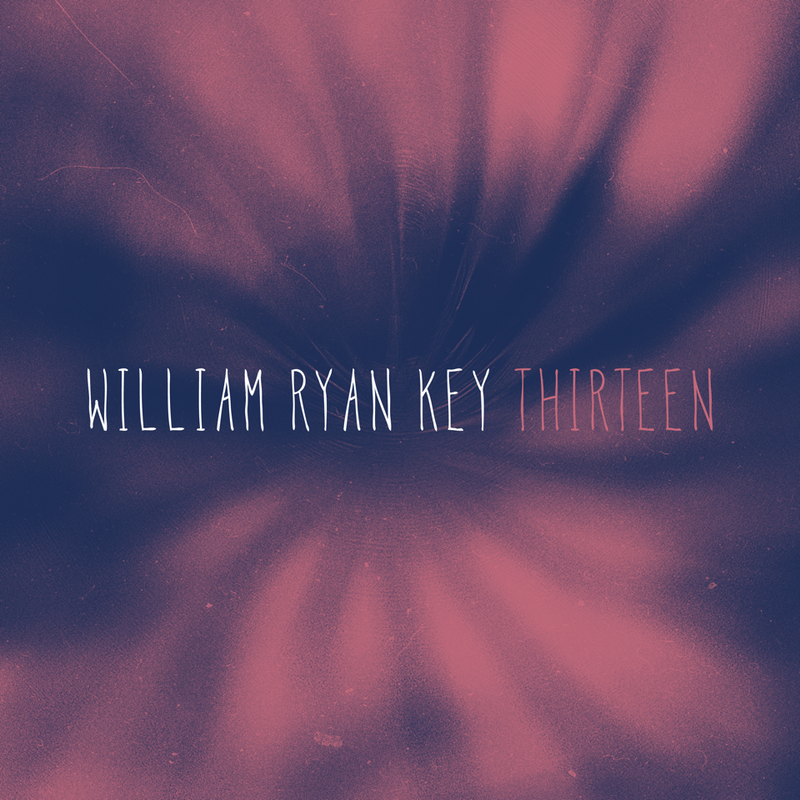 It has been a year since we all collectively (and tearfully, at least for myself) said goodbye to pop-punk powerhouse Yellowcard, and while the wound might still be fresh for some, singer William Ryan Key’s debut solo EP Thirteen should serve as a therapeutic way to cope with any and all lingering aches and pains. It’s simply best to consider this five song set a necessary catharsis for Key, and for all of us for that matter. On Thirteen, Key plucks at your heartstrings as delicately as he plucks the strings of his acoustic guitar, going right for the emotional jugular on opener “Old Friends,” a nearly four minute plead for forgiveness of past sins (‘And all those birthdays when I just forgot to call, I’m sitting here on a mountain of guilt that I finally started chipping away, here hoping you can try to absolve all the years that I was playing the game, I think I’m turning homeward again and I’m praying you will open the gate, will you let me in? Will you let me stay?’ Key implores). Plucking gives way to a little more fervent strumming on lead single “Vultures,” an upbeat entry reminiscent of Key’s acoustic takes on Yellowcard classics like “Empty Apartment,” a formula that continues on into “Form and Figure,” where Key waxes poetic about a former flame, exposing a vulnerability in his voice we’ve never before heard (‘It’s not the little visits I mind, it’s trying to find a way for us both to move on, to pack the history up and get gone…how do I get right?). Key shows off his intrinsic aptitude for melody on the serene “Thirty Days,” and gets all sorts of reflective on drifting, nomadic closer “Great Unknown” (‘I am no statue, a monument to raise…funny how time doesn’t mind, who we keep and who we bear to leave behind, so into this great unknown, I will wander on my own…will I ever stop imagining, what if I had done things differently,’ Key inscribes). Key clearly has a lot to say and a lot to get off of his chest, and perhaps even more to repent for, and if Thirteen is any evidence, this new start, this new direction, is the beginning of a beautiful new relationship.